The extremity of these measures depends entirely what's being interrupted. If he's playing outside with his sister, the steps I take are fairly mundane. I give him a few, gentle time checks ("five minutes until dinner" … "3 minutes until dinner" …), and then offer something enticing enough to make putting down the ball seem like less of an intrusion ("Tonight's chicken has both teri and yaki on it!"). Anyone who's been within a thousand miles of one can tell you… There is no tantrum like a Put-Down-the-iPad Tantrum. Of course, as in most cases, our kids are simply modeling our behavior. Having a disproportionately enraged reaction to being interrupted during screen-time is a characteristic that's hardly limited to five year-olds. 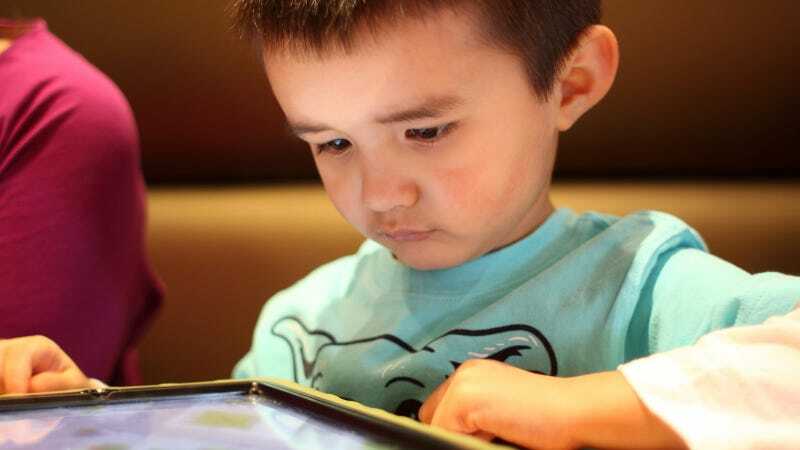 I regularly find myself snapping at my kids or feeling overly irritated with adults when faced with the seemingly simple demand that I drag my gaze away from my screen when I'm in the middle of something (anything really). And since I'm always-on, and my screen provides access to so much of what I do – work, social life, leisure time, writing this article – I'm permanently in the middle of something. My son was born around the time of the original iPhone. So I've been asking him to "Just give me a second" for his whole life. Even for the formerly ascetic, it's a slippery slope. Om … Om … Om … OMG! Wanting to focus and being irritated by distractions and interruptions is nothing new. I'm sure my dad missed a few of my childhood moments while he was at the office. But now the office is seamlessly connected to games, music, texting, email, social networking, entertainment, and everything else. The hierarchy of things worthy of earning our focus has largely collapsed. If it glows, it's worthy. The screen doesn't care what you're doing. I see modern parents miss childhood moments while they're playing Words with Friends. "Just give me a second…"
Sign Up for Dave Pell's NextDraft newsletter to get a quick, entertaining look at the day's most fascinating news.